I headed to my dad’s winter home in Sun City, Arizona on October 15, 2012 with a back pack, purse and suitcase. When I returned on November 8th I had 2 suitcases, a backpack and a carry-on. 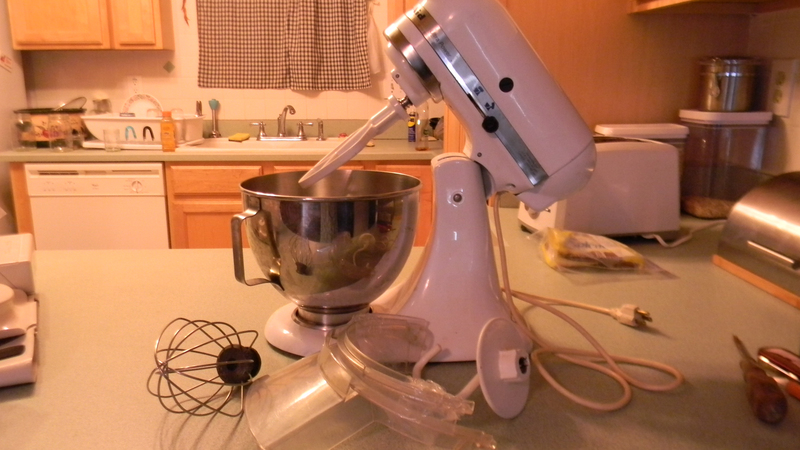 One of the biggest reasons was that my dad purchased a Kitchen Aide mixer at a garage sale, in Alaska, packed it in a suitcase and gave it to me in Arizona. Sun City is the best place I have ever been for garage sales and thrift stores. They have one shopping center that has 4 thrift stores (107th and Peoria) with 2 additional across the street. This is the 2nd reason I came home with more suitcases. 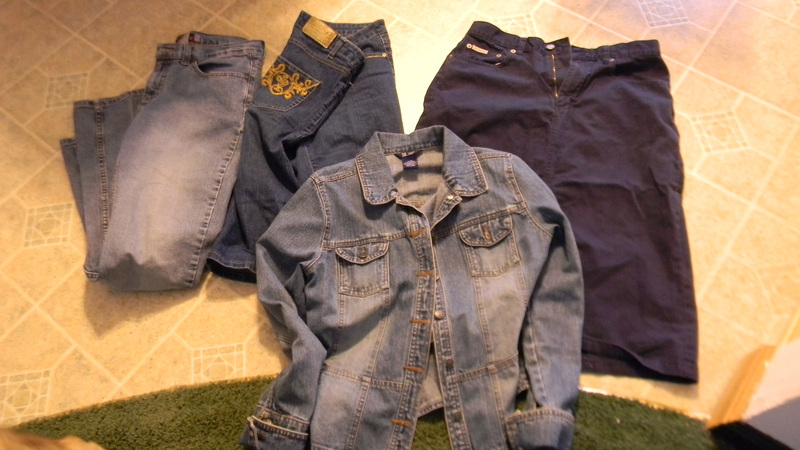 Jordache Jeans $.25, Jeans with gold stitching $1.00, Jean Jacket $.75, Calvin Kline skirt $1.00. 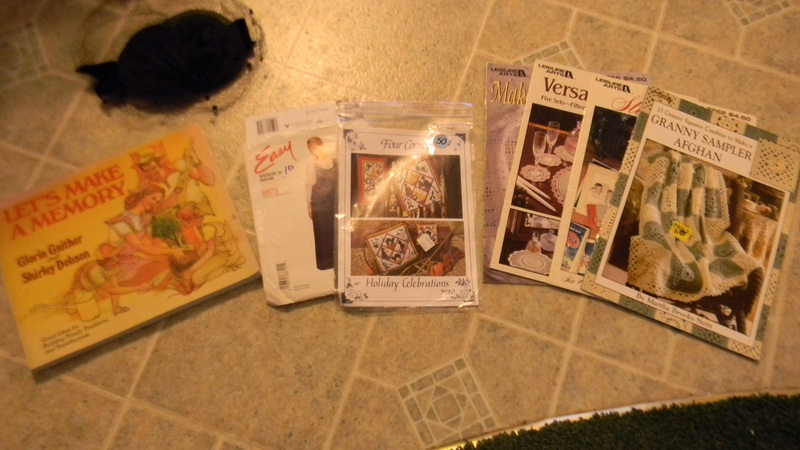 Pampered Chef’s mandolin (never used) $5.00, $66 new, Stick Blender $1.00, lot of bible studies $1.50, two books $.50, 60’s patterns $.25 for 2, 3 small pans for soap $.25, box of envelopes $5.00, two beautiful lace covers $.25 each. 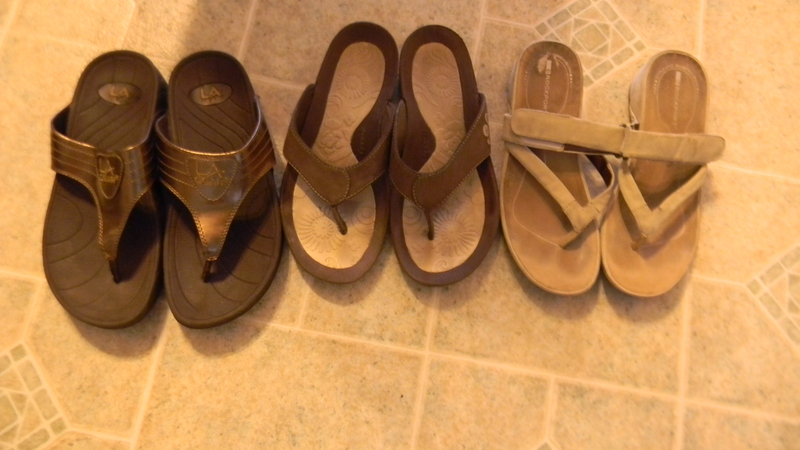 3 pairs of shoes $1.00 each, LA Gear, Rockports, and Speedos. 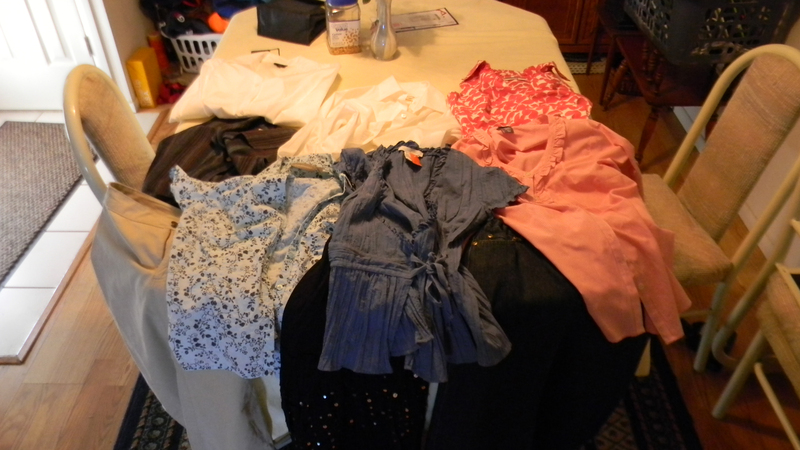 6 tops $1.00 each, 2 skirts $1.50 each. 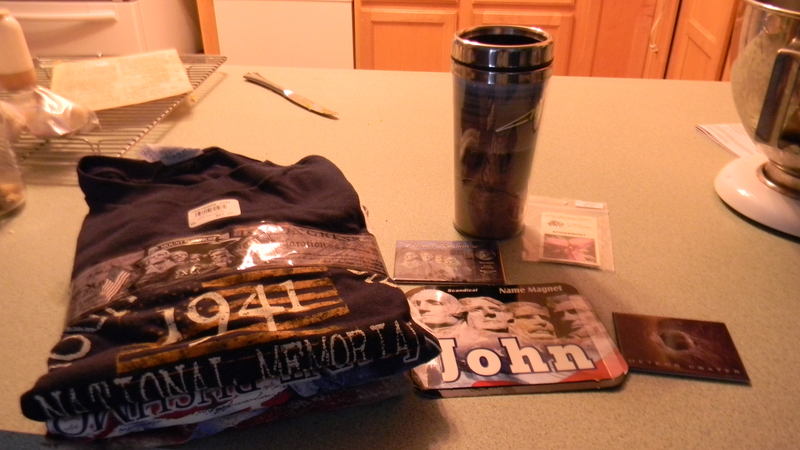 Things I purchased for family and friends. 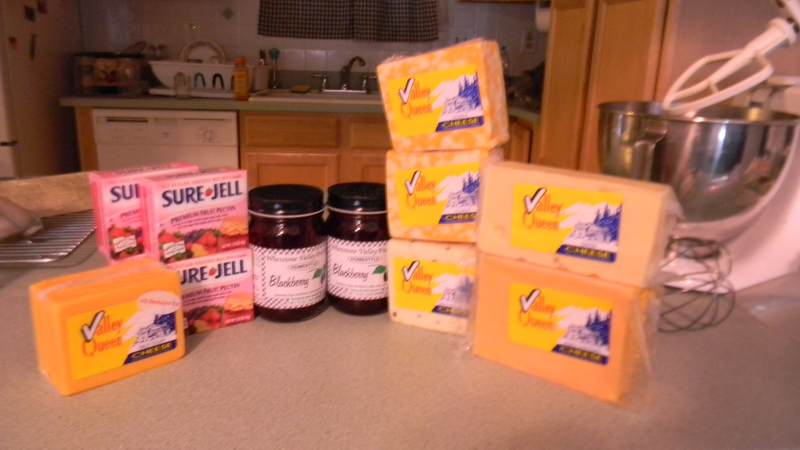 Things I purchased in Milbank, South Dakota, blackberry jam, lots of cheese (made in Milbank) and Sure-Jell purchased cheap at a box store. So how do you think I did??? 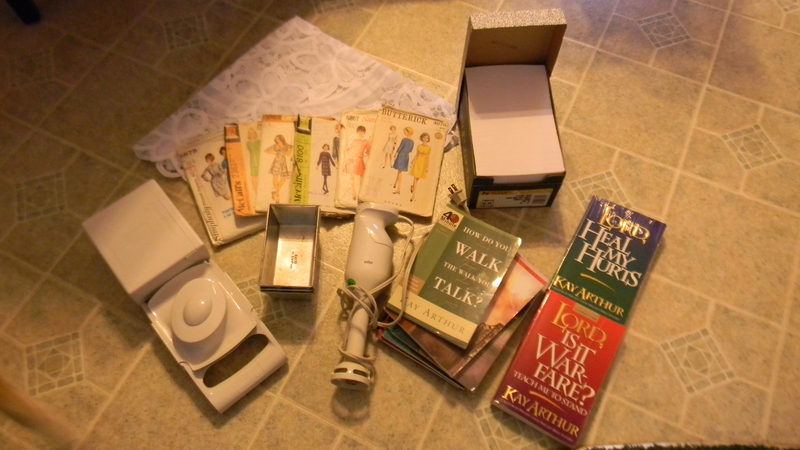 This entry was posted in Posts and tagged garage sales, Sun City Az, thrift stores, Vacation. Bookmark the permalink. Wow! What a haul. Great buys..
Sure was!!! I needed more suitcases, lol. My gosh, sell it all on ebay and you’ll make a small fortune!